With Art Fairs filling up the calendar through out the year, some critics have said that the art fair market is becoming saturated. 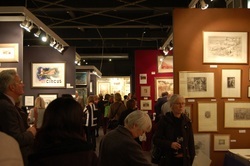 However there is still a lot be said for the 'art fair'. We understand that fairs on a large scale can become tiresome and unmanageable, especially with so many you can go to throughout the year. The Works on Paper Fair allows you as a collector, or first time art investor the manageable experience one desires from an art fair. The Wall Street Journal, 2013. 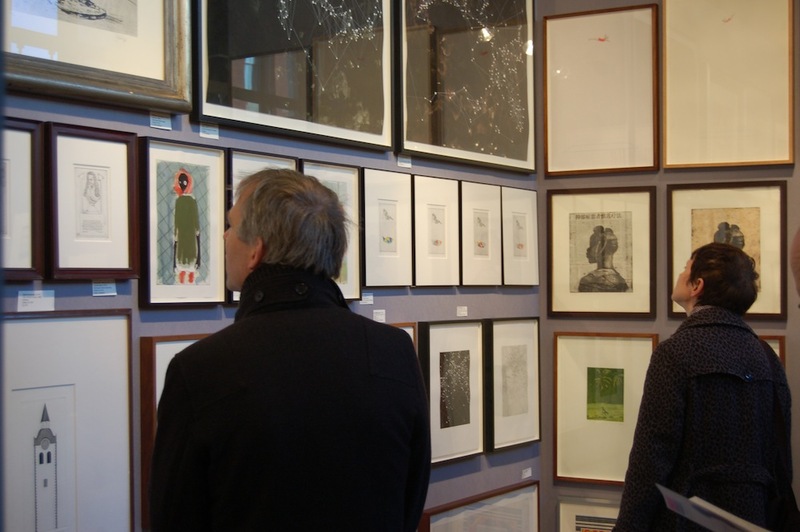 The Workd on Paper Fair attracts a discerning audience including Museum curators, seasoned collectors and informed amateur collectors. Nettie Iles, of the Francis Iles Gallery commented that, "it is such a joy to do a fair where the customers are so knowledgable and charming" and Luke Price commented on the number of "interesting and serious collectors through the doors'". The Fair is also well known for its extensive visitor programme which includes free talks/ tours daily, and live music during the late evening events on Wednesday and Thursday until 9 pm. The Fair has built a reputation encouraging painting, drawing, photography and printmaking by supporting contemporary artists through the continued collaborations with institutes and charities.